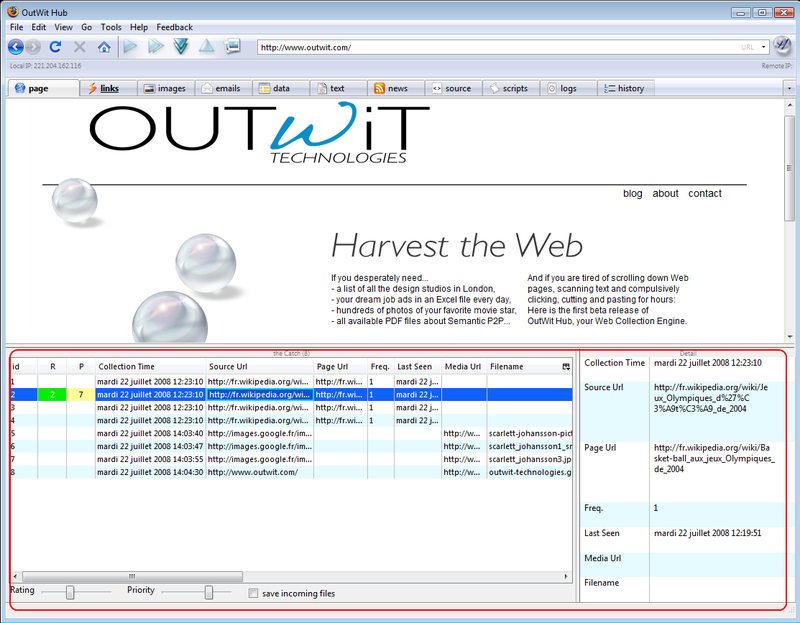 Found 4 file extension associations related to OutWit Hub and 4 file formats developed specifically for use with OutWit Hub. With OutWit Hub you can find, grab and organize all kinds of data and media from online sources. Automatically explore series of Web pages or search engine results to extract contacts, links, images, data, news, etc. If you need more information please contact the developers of OutWit Hub (OutWit Technologies), or check out their product website.